A website development disaster can be both costly and demoralising. This case study from my life coaching files did not have a happy ending and highlights the traps to help your clients avoid. Lexie, (not her real name) a high school English teacher, had a wonderful idea for an online business. It actually inspired me! Unfortunately, by the time she came to me to coach her through the process, she had already commissioned the website to a local designer. She also didn’t want me to see the website until it was finished so I had no option but to go along with that. I was her coach not her website person! Lexie was wonderfully proactive in the other aspects of setting up her online business. She created a really snazzy logo, sourced and engaged suitable teachers to take the flood of enquiries she was expecting when the website was launched. She had all the systems and schedules in place and had asked the designer to set her up a a booking system for eager Asian students. During our coaching sessions, however, Lexie did admit she had some issues with the designer not doing what she asked, did not have the right idea about the visitor experience and putting in stuff she hadn’t asked for. We had several conversations to help her resolve this but still insisted staying with the designer was her best option. I would add that this website was not a “cheapy” no frills website such as Wix or Weeby, but was costing her thousands of dollars to have built. The designer had also locked Lexie into a plan where there were costs for every change made to the content. Just before launch date I got to see the website. It was quite impressive, with huge moving pictures and lots of gimmicks. It looked good - but apart from not having the SEO keyword components to enable it to be found , it had scrappy content, didn't engage the visitor, was hard to navigate and had no real call to action. 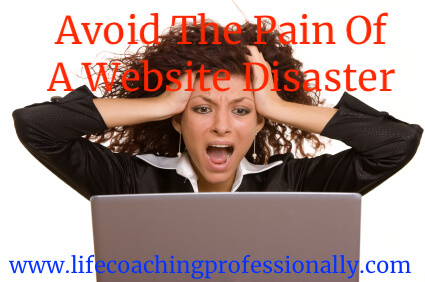 She was heading for a website development disaster and there was nothing I could do to help her. So launch day for the website came with much anticipation. Two weeks later Lexie is on the phone in a panic - the anticipated flood of enquiries and bookings had not come - not one. Despite my warnings, she had been convinced that in the words from the film Field of Dreams “If you build it they will come”. They hadn’t! Also Lexie and the designer had overlooked the fact that it needed to have a translation facility so its could be read in Japanese and other Asian languages - her target market. Lexie regretfully realised, her expensive website simply had not been designed or built to do the job of an online business. There was nothing else to do but for Lexie to extricate herself from her website designer and more or less start again. It set back the launch of her her new online business months at considerable cost to her both financially and emotionally. Why I Trust And Recommend Solo Build It! This story is not unique. I often hear similar sad and frustrated tales from coaches who have built a good looking website that simply doesn’t do the job of helping create a profitable coaching practice. And this is why I the recommend the system I used Solo Build It (SBI!). It's a complete online business building platform that you can entirely create yourself or get one of Solo Built It’s coaches to help you at very reasonable rates. SBI!s unique and critical point of difference is that you don't have to work with plugins, learn code and it has a proven Action Guide that supports you to build the business from day one, avoiding critical errors like Lexie. It really is worth checking out. 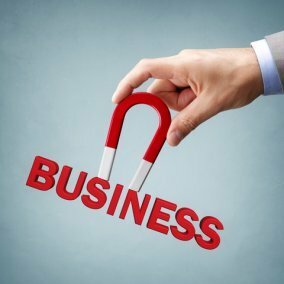 And if you already have a Wordpress website and have the knowhow to navigate your way through Wordpress without ongoing expensive technical help, SBI have an add on, SBI For Wordpress that includes their unique Action Guide and other proven online business building tools.